BMW’s plug-in sedan makes it easy to go green without sacrificing any luxury. 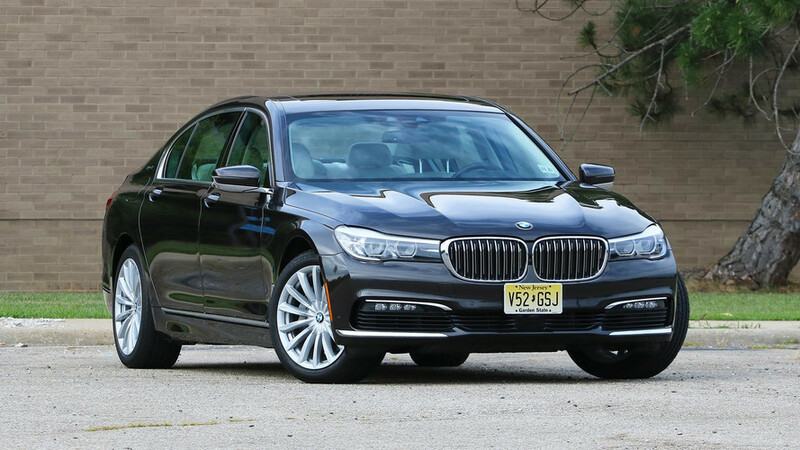 It’s hard not to like taking a spacious, plush sedan like this BMW 7 Series when you and some friends are driving across the state for a weekend trip. This model specifically is the plug-in hybrid, designated 740e, which is able to drive 14 miles on battery power alone thanks to a 9.2-kilowatt-hour lithium-ion battery pack. 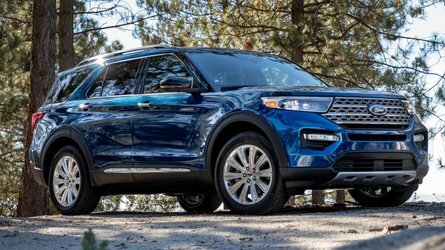 That’s enough range to run short urban journeys on electrical power, but you’ll still rely on the turbocharged 2.0-liter inline-four for traveling further distances. The eco-focused powertrain helps save money at the gas pump but doesn’t at all diminish how well the 7 Series works as a luxury sedan. Excellent efficiency. The car’s all-electric driving range might not be incredible by modern plug-in standards, but the 740e is still by far the most efficient 7 Series you can buy. Over several hundred miles that included lots of highway driving, I averaged just over 32 miles per gallon. That’s better than the EPA’s gas-only estimate of 27 mpg combined and far better than the combined rating of any other 7 Series variant. 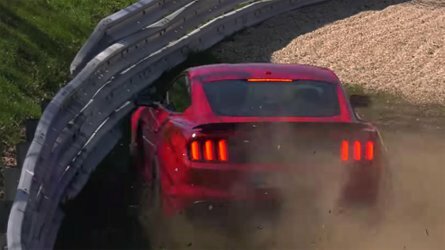 You’ll never tell it’s a hybrid. Strong acceleration and smooth operation belie any indication that the powertrain is a non-traditional setup. There’s little noise or vibration to announce when the gas engine turns on or off. 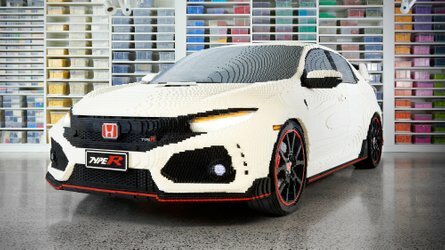 The electric motor delivers 111 horsepower on its own, which coupled with the gas engine’s 255 hp, delivers 322 total system hp. 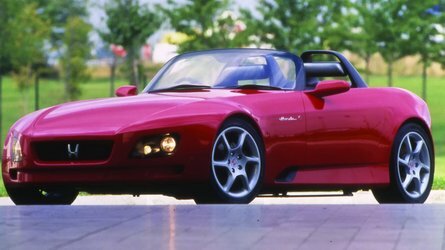 That’s enough for swift acceleration without pause in all situations, even though the 740e is relatively portly (see below). It’s a great luxury sedan. Sublime quietness, a pillowy ride quality, and epic back-seat legroom make the 740e a wonderful place to spend long journeys. 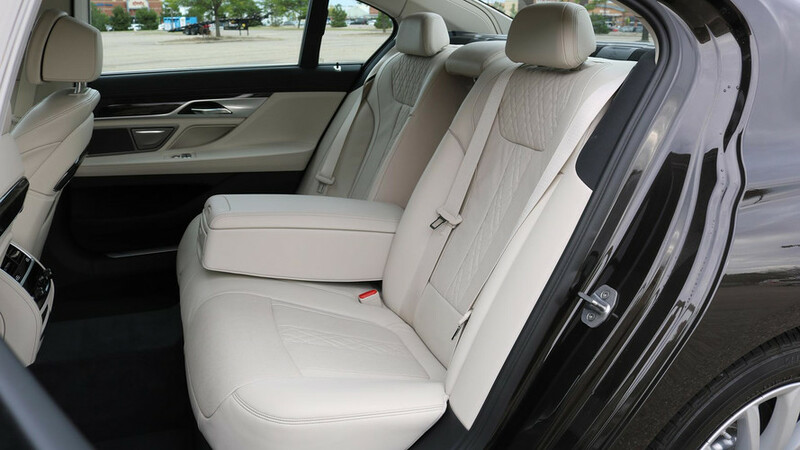 The car isolates occupants from the outside world so thoroughly that one could easily take a nap – in the executive rear chairs only, of course. And for the driver, comfy seats, a loud stereo, and adaptive cruise control with self-steering assist make any trip easy. Underutilized instrument cluster. 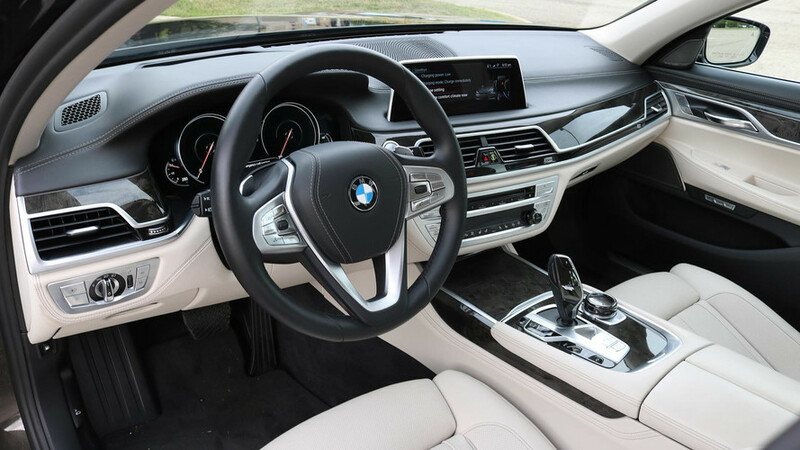 Where rivals with digital instrument clusters can show all manner of navigation, phone, or music data, the BMW’s color display doesn’t provide much more than fuel economy or adaptive-cruise information. 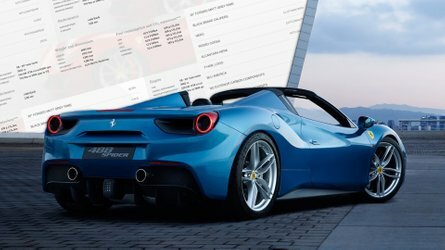 With so much real estate in front of the driver, it seems like a wasted opportunity to bring over more information from the 10.2-inch center infotainment display. Inconsistent brake feel. The left pedal feels considerably different when you’re driving with the gas engine versus with the motor alone. In the latter mode, the pedal is notably softer and has more travel before the regenerative brakes take effect. Unpredictable brake feel is common to many cars with regenerative brakes, of course; spend a few weeks at the wheel of this 740e and you’d doubtless acclimate. Less and more. 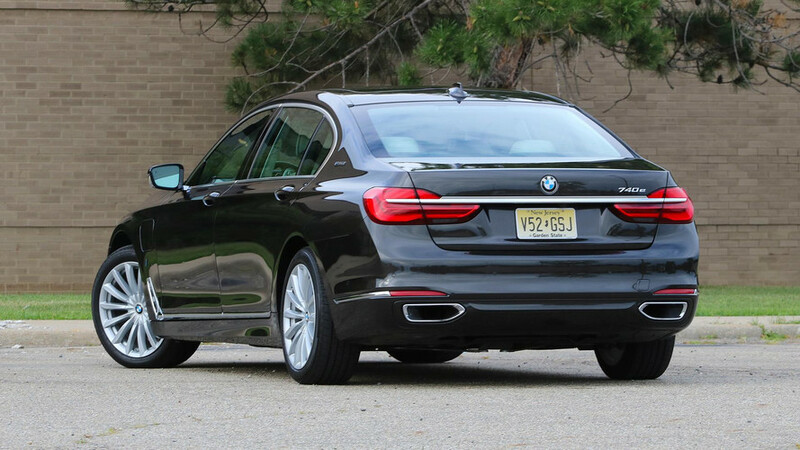 Like any plug-in hybrid, the 740e makes sacrifices in two important areas: cargo room and mass. Trunk space suffers due to the addition of the battery pack, falling from a generous 18.0 cubic feet to 14.8 cubic feet. 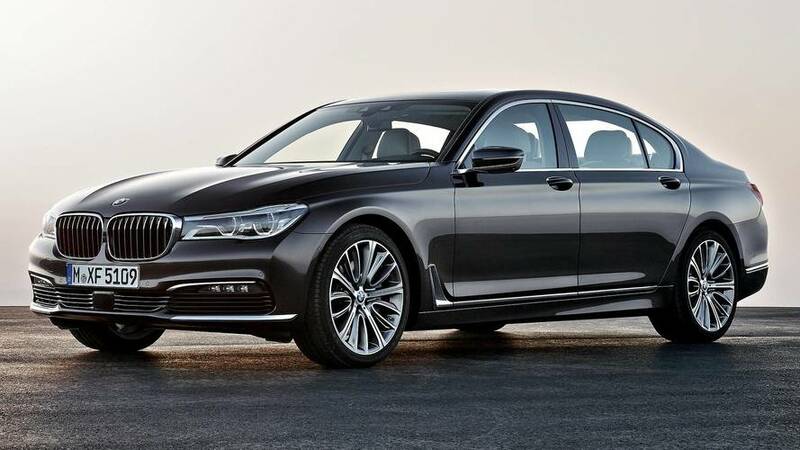 And at 4,740 pounds, the 740e is the second-heaviest (behind only the fabulous M760i) 7 Series sold in the U.S. 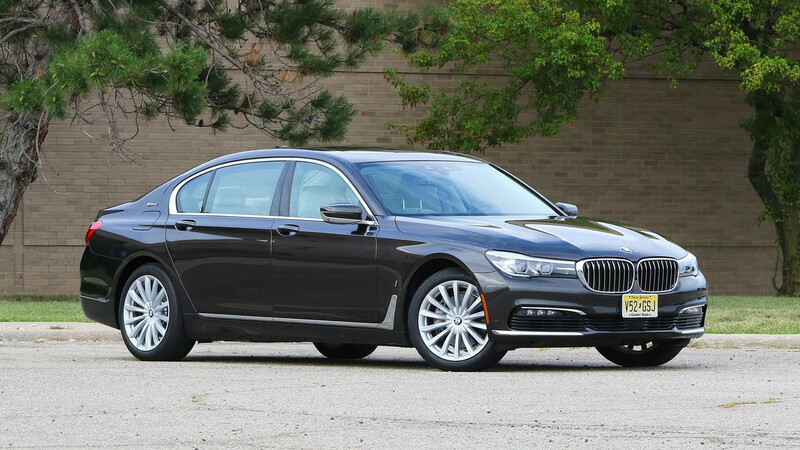 The base BMW 740i tips the scales at only 4,195 pounds.